I never thought I'd live to see the day. Not the day I saw another Star Wars movie after the original trilogy. That came in 1999 with The Phantom Menace. The day I'd see a good Star Wars movie? That I had given up hope for. It's hard to talk about The Force Awakens without referencing the prequel trilogy. As I sat in the theater for the opening crawl, I felt a deep sense of fear and dread mixed with excitement and joy. I couldn't help flashing back to the moments when I saw the opening crawl of Phantom Menace, and I was so certain it would be a return to the greatness of Star Wars of old. And then the scrawl mentioned trade dispute, and I knew something was horribly wrong. By the time the third movie came around, I felt more resignation than excitement. I wanted to see the ending, but remembered the disappointment of the last two. And while Revenge of the Sith wasn't as bad as Phantom Menace, it still wasn't what I wanted from a Star Wars movie. I left feeling bitter, thinking it would be the last Star Wars movie, and we'd never have a return to what made the franchise great. Now we have a new movie, and it seemed all we wanted was a movie that wouldn't screw it up. A few space fights, some lightsaber action, that's all we asked for. But Awakens delivers so much more. Awakens shocked me at first because it felt so modern. This is Star Wars if it was made today. The prequel trilogy slavishly mimicked the look and style of the original trilogy, as if they were works of unchanging art instead of the popcorn 70's movies they were. Each prequel started with a slow pan over a spaceship. Everyone was filmed flat on one side, reciting wooden dialogue with a serious but mumbling tone. Even the weird wipe transitions returned. They took the weaknesses of the old movies and made them "the way Star Wars is supposed to be." Well, Force Awakens opens with a spaceship, but with shadows and depth, and backlit against a planet. It's a beautiful shot, and when the camera moves on, it came to life. The new movies are a world of intricate camera angles and transitions, wonderful visuals that echo the original movies, but feel even more real. I should probably start talking about what the movie is about. Well, I'll try to avoid spoilers. The movie takes place thirty years after the original, where the happy ending from Return of the Jedi wasn't so happy after all. The Empire has been reborn into the First Order, fighting for control of the Galaxy. A stormtrooper nicknamed Finn goes rogue and joins a quest to track down Luke Skywalker, who's been lost for many years. In the process, he stumbles across a scavenger named Rey, and is forced to fight against the sinister Kylo Ren, who holds dark powers and secrets. But unlike the other Star Wars movies that could be summed up in a sentence, that description doesn't scratch the surface of the real story. Saying more would take away the fun. After a while of watching this movie, I felt something I never expected. I thought the movie would be all about reuniting with the old characters and storylines from the original. It wasn't. It was about revitalizing Star Wars into a new world. I loved the new characters almost as much as the old. Maybe more. Finn and Rey were far more complex and interesting than anyone who'd ever appeared in a Star Wars movie. While it was great to see Han Solo and C3PO, I found myself way more invested in hotshot pilot Poe Dameron and quirky BB-8. It was a passing of the guard. I'm looking forward to their adventures in a way I never thought I would. 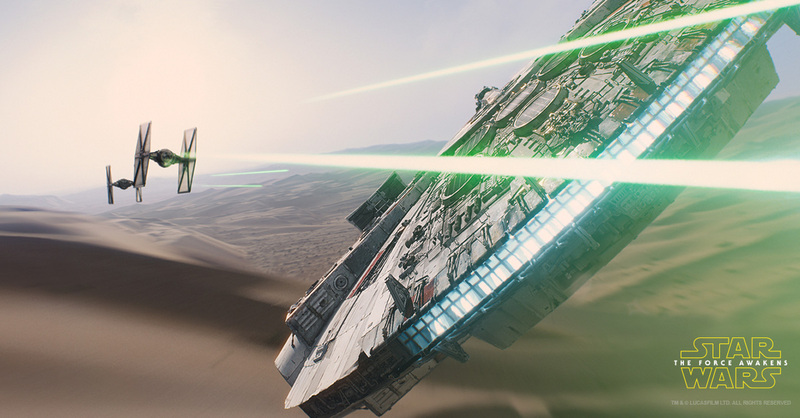 We get a deeper look at the Star Wars universe, and it feels more lived in. In the original Star Wars movies, everything was in the background for a reason, giving the illusion of life. Nothing felt like it existed before or after we saw it. In Awakens, it feels like a living world. The desert planet Jakku is a world of people struggling to survive, looting from dead spaceships for meager rations. Unlike Tatooine, where people did...what exactly? Farm moisture? Smuggle stuff? Shoot each other in bars? 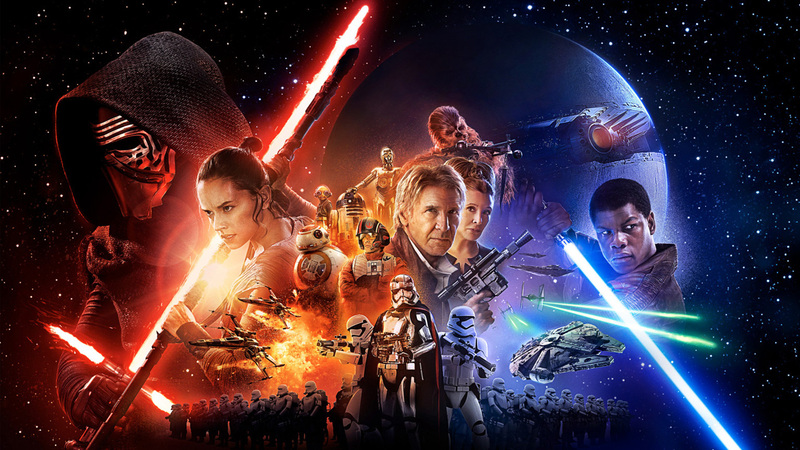 But more than anything, Awakens is something Star Wars was never allowed to be: complex. When Lucas made a bad guy, he named him Darth Vader and dressed him all in black. Or he named him Darth Maul, and made him a literal devil with red skin and horns. Lucas never would have made a stormtrooper a hero, because the stormtroopers were Bad Guys. They were evil people to serve as cannon fodder for the real heroes. But not in Force Awakens. In Force Awakens, we get shades of gray. Even Kylo Ren is a complex soul, wracked and tormented by his emotions and his past. As for the actors, all good. John Boyega as Finn was funny and heroic, while also fearful and confused about his destiny. Daisy Ridley as Rey is almost impossibly beautiful. She spends most of the movie in rags with dirt smeared on her face, and she's still stunning. Yes, we have a new geek crush, and I await the polls pitting Rey up against Padme and Leia for hottest Star Wars babe. But I'm still voting for Leia. Oh, and she's also a great character. She doesn't sit around waiting for someone to rescue her; she rescues herself. My only complaint is that there wasn't enough lightsaber fighting. But the movie was too busy telling an actual story, so I'll forgive it. I could go on, but the bottom line is that The Force Awakens is a good movie. I only say it's the second best Star Wars movie because Empire Strikes Back holds the honor of the best, and I don't think anything can topple it. There's too much emotion and history for Empire. Much like Muhammed Ali will always be the greatest boxer of all time, even if better technical fighters come along. 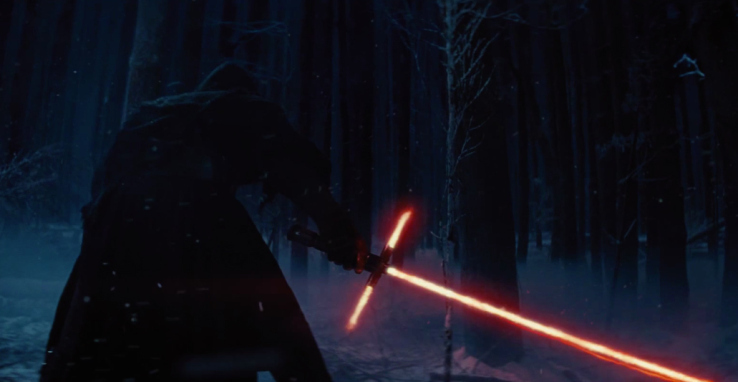 But Awakens is truly the movie fans have been waiting for. Hated It... The Force Awakens was a nostalgia laden reboot at best. This story was is so full of plot holes and under developed characters that intelligent movie goers should demand your money back. Star Wars as a franchise survived for 3 decades because of a deep love of the characters. The expanded universe may be non-cannon but it gave the fans something to connect to. The Rey, Finn, and Kylo in Episode 7 are not that. I'm confident Disney rejected the EU because they don't own the rights to the characters so Mickey and the gang can't pimp them to advertisers for car and fast food commercials. How Should You Start Watching "Star Trek"? A Bad Lip Reading of "Star Wars"